OEM MINI Window Regulator for 2002-2006 R50 MINI Cooper, R53 Cooper S, and R52 Cabrio. 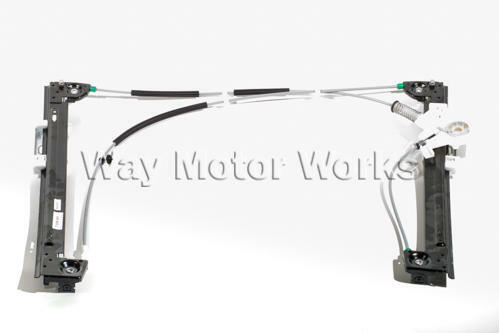 If your MINI is having window problems the window regulator is very likely the problem. These Window Regulators WMW is selling are Factory OEM MINI parts, not cheap aftermarket ones. We know the aftermarket ones are cheaper but we tried them and they don't fit will or work correctly. Go with these OEM window regulators so you only have to do the job once. Window Regulators come as seen in pick with cables and pulleys all installed and ready to use. Please select year and model to ensure you get the correct window regulator.